We are already in April, which means the next big festival coming up in the wheel of the year is Beltane. This occurs from the very end of April and into the first two days of what we now call May. It is a very sacred time of year when most handfastings were said to have happened. It is also the time when the spring is in full bloom – flowers are springing up everywhere, the trees are bursting open. The world is alive again! Of course, this only applies to the northern hemisphere – the southern hemisphere is heading into the opposite direction of Samhain, the gateway to winter. In the Celtic tradition, it is said that the two major festivals of the year are to celebrate the coming of summer and the onset of winter. Beltane in April/May and Samhain in October/November (both spelt a variety of ways) are the names given to these two seasonal ‘gateway’ celebrations or yearly indicators. The Irish Gaelic word is ‘Bealtaine’ (pronounced B’yol-tinnuh; approximately rhyming with ‘winner’) is also the name for the month of May. The Scottish Gaelic word ‘Bealtuinn’ (pronounced b’yel-ten with the ‘n’ like ‘ni’ in ‘onion’) is said to mean May Day. 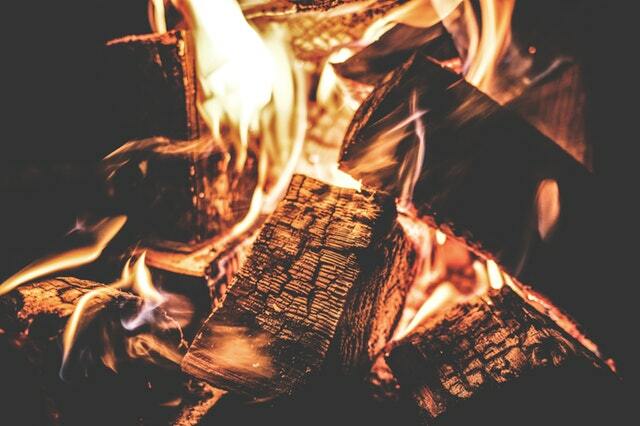 The original meaning for the word ‘Beltane’ is Bel’s Fire, referring to the fire which is associated with the Celtic or Proto-Celtic God Bel, Belenus, Beli, Balar and Balor. These names for the God are said to trace back to the Middle-Eastern ‘Baal’ which means ‘Lord’. Some people may equate the Gaulish-Celtic Cernunnos with the British-Celtic Bal, but they may just metaphorically be two sides of the same coin; Cernunnos is associated with animals and nature and also the underworld- somewhat equated to Pluto. Yet Bal was seen as the ‘bright one’- symbolic of the rays of the sun, fire and light. Although he was associated with the light and the sun rays, he was not strictly-speaking a sun god. The Celts were not said to be solar-oriented and their chosen word for the sun- ‘grian’- is a feminine noun and is Irish and Scottish Gaelic for ‘sun’. ‘Mór’ is a personalised name for the sun- for example in the phrase ‘Mór dhuit’ this means ‘May the sun bless you’. To some cultures, the sun was equated to God-status in terms of being masculine, but to the Celts, the sun was definitely feminine. Bel-fires were lit on hilltops around settlements to celebrate the return of fertility and life to the world. 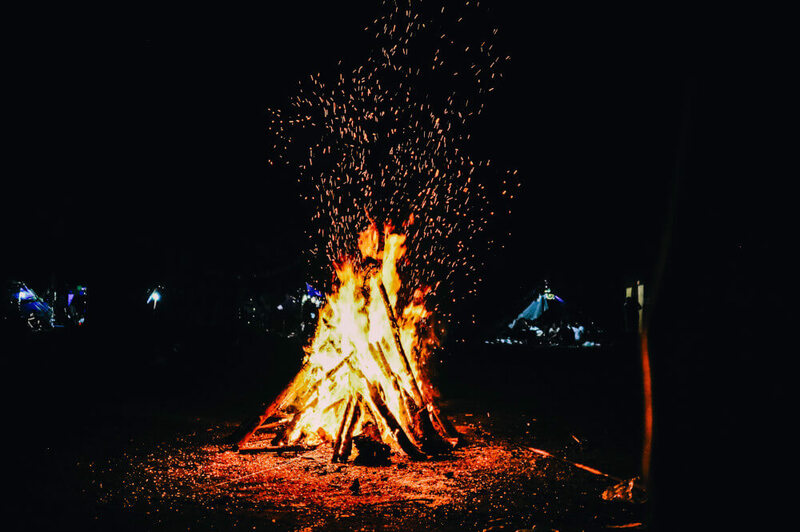 In Pagan-age Ireland, no-one could light a Bel-fire until the High King had lit the first one of the evening on Tara Hill. In AD 433, Saint Patrick showed an acute form of symbolism when he lit a fire on Slane Hill, ten miles from Tara before the High King Laoghaire lit his. In this way, he couldn’t have made a more dramatic claim to usurping the spiritual beliefs and following of the entire island. St David is said to have made a similar historic gesture in Wales in the following century. An interesting aside to note is that in Danish, the word for a bonfire is actually ‘bål’. This is very close to the British ‘bel’. Another feature of the Beltane festival in many lands is jumping over the fire. This is done by many different people in order to bring fertility into their lives in a variety of ways- perhaps to help conceive a child, bless a marriage, bring forth a creative spark or bless the crops for the coming year. Cows would also be led between two fires or over the ashes to ensure their milk yield flowed all year long. This symbolic gesture still happens at modern neo-Pagan festivals, especially at a handfasting ceremony. Many aspects of luck and success were associated with the ritual act of jumping the fire, so there were many reasons to do so. On May 1st, the cattle would be taken off to their summer pastures by the children, women and herdsmen. There they would stay until Samhain or the beginning of winter. It is said that the same thing happens today on these same dates in the Alps and other parts of Europe. The Irish and Scottish word for summer pasture is ‘áiridh’ and Doreen Valiente suggests in her book Witchcraft for Tomorrow that ‘there is just a chance that the name ‘Aradia’ is Celtic in origin’-thus connected to this Gaelic word. Aradia is said to be an Italian goddess, and many people who practice modern Wicca may venerate her as the goddess. On Beltane eve, the usual limits put onto breaking Hawthorn tree branches or bringing them into the house is lifted. Sprigs of this magical tree would be cut especially for the festival. It would be entwined into altar dressings, put into natural headbands to wear during the ceremony and for adorning the house. Although it used to be just leaves by the time Beltane came around, in recent years the flowers have been out at least a couple of weeks before the festival occurred. Fertility is a big feature in the Beltane festivities, along with unabashed promiscuity. Although these aspects are still celebrated now, many of the more promiscuous acts are performed in private, even over the Beltane celebrations, simply because of a combination of too many people around and not enough land to hide in. Woods feature dog walkers, general walkers and bicyclists all year around now, and the old ways are long since forgotten by town and city dwellers after the injection of Christianity into the country. Dancing around the Maypole, searching for nuts in the woods and staying up all night to watch the sunrise are all still things that are possible. Parliament in the UK actually made Maypoles illegal in 1644, but these returned with the Restoration. In 1661, a 134-foot Maypole was set up in the strand. So even though the more, shall we say, fruitful activities are no longer celebrated by hiding away in the woods, there are still a few practices which happen even today. It may be that you hold a small circle with your working group, coven or friends, or you choose to simply celebrate this turning of the wheel alone.